East Asia by the Book! CEAS Author Talks: Tie Xiao - "Revolutionary Waves: The Crowd in Modern China"
About the book: During China’s transition from dynastic empire to nation-state, the crowd emerged as a salient trope through which intellectuals across the ideological spectrum ruminated on questions of selfhood and nationhood and advanced competing models of enlightenment and revolution. 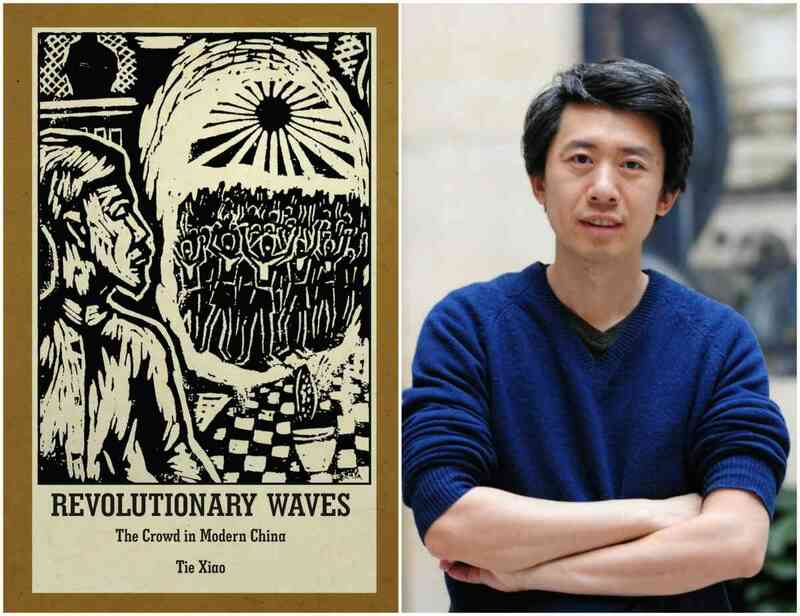 Revolutionary Waves analyzes the centrality of the crowd in the Chinese cultural and political imaginary and its global resonances by delving into a wide range of fiction, philosophy, poetry, and psychological studies. Bringing together literary studies, intellectual history, critical theory, and the history of human sciences, this interdisciplinary study highlights unexplored interactions between emerging social-scientific forms of knowledge, new aesthetic modes of representation, and changing political imperatives. It brings into relief the complexities of the modern Chinese crowd discourse that generated subjectivities and oriented actions, enabled as well as constrained the expression of togetherness, and thus both expanded and limited the horizon of political possibilities in the emerging age of mass politics. The first in-depth examination of the aesthetics and politics of the crowd in modern Chinese literature and thought, Revolutionary Waves raises questions about the promise and peril of community as communion and opens ground for a reimagining of collective life in China’s postsocialist present. About the author: Tie Xiao (PhD, 2011, University of Chicago) is Associate Professor in the Department of East Asian Languages and Cultures at Indiana University. He is also an awarding-winning fiction writer in Chinese. About the interlocutor: Robert Bird is a Professor in the Departments of Slavic Languages and Literatures and Cinema and Media Studies at The University of Chicago. His primary area of interest is the aesthetic practice and theory of Russian/Soviet modernism. He has published books on Viacheslav Ivanov, Fyodor Dostoevsky and Andrei Tarkovsky, and essays on a variety of topics in Russian literature, intellectual history, film and video art. Most recently he was co-editor (with Christina Kiaer and Zachary Cahill) of Revolution Every Day: A Calendar (Mousse Publishing, 2017), the catalogue to the exhibition Revolution Every Day at the Smart Museum of Art at the University of Chicago. He is currently completing a book, Soul Machine: How Soviet Film Modeled Socialism, which analyzes the rise of socialist realism as a modeling aesthetic, and is developing a project with support from the Neubauer Collegium called Revolutionology: Media and Networks of Intellectual Revolution. About CEAS: The Center for East Asian Studies (CEAS) and its three Committees — the Committee on Japanese Studies, the Committee on Chinese Studies, and the Committee on Korean Studies — work to enhance opportunities available to scholars both in the United States and abroad, and to foster communication and inter-disciplinary collaboration among the community of professors and students at the University of Chicago and throughout the wider East Asian Studies community. During China's transition from dynastic empire to nation-state, the crowd emerged as a salient trope. Intellectuals across the ideological spectrum have used the crowd trope to ruminate on questions of selfhood and nationhood, and to advance competing models of enlightenment and revolution.